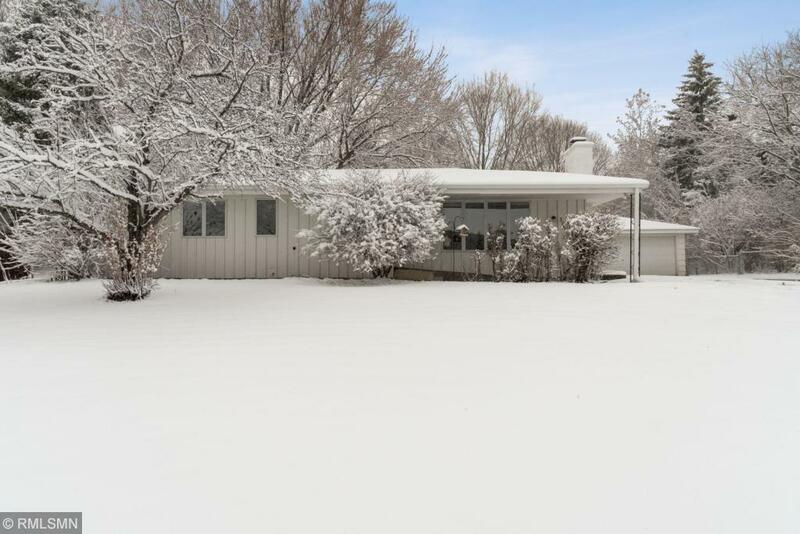 Spacious Rambler in highly sought after W. Bloomington location! Huge Living Room with wood burning Fireplace, Hardwood Floors, large Kitchen with lots of Cabinets, Counter Space & Pantry, 3 bds same level, 2 have Hardwood Floors and 3rd brand new Carpet! Lower level offers very spacious Family Room, add an eggress window & you have a 4th bedroom. Lots of storage space or room to build equity and finish more space. Entire house Fresh Paint 2019, Furnace 2015, Fridge, Stove, Oven new in 2014, Dishwasher 2017, drain tile 2014, Gutters 2014, Deck 2014. Long driveway perfect for visitors or extra family cars! So much to offer! Move in and enjoy!